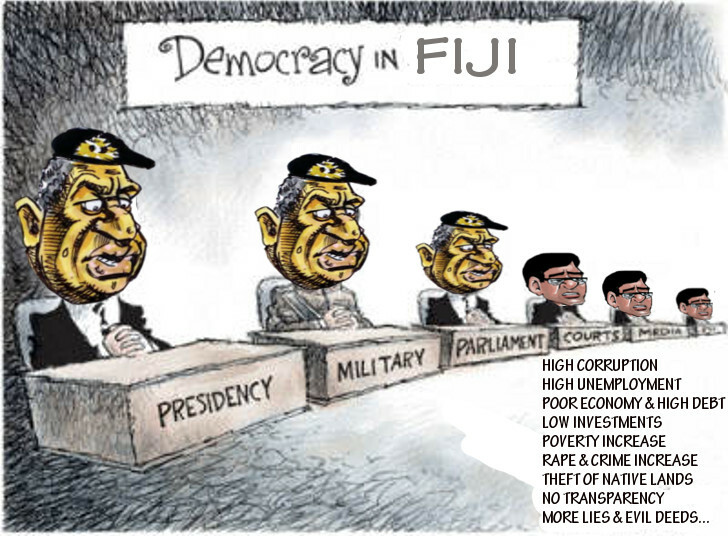 Democracy in Fiji - dictator style! Fiji's dictator Frank Bainimarama and his megalomaniac puppeteer, Khaiyum, are travelling across Fiji trying desperately to convince the indigenous Fijians and citizens of Fiji that their intentions are noble and that they are there to serve the people. This is all a lie! They are thieves in sheep clothing distributing sweet sounds of money and help to trick the people into keeping them in power and out of jail. Vote against military dictatorship in Fiji and reject Bainimarama's lies.